The first episode of the new series from the makers of Merlin. In the new show from the team that produced Merlin, we find a smorgasboard of mythic heroes and villains all within the same walls of the legendary city. 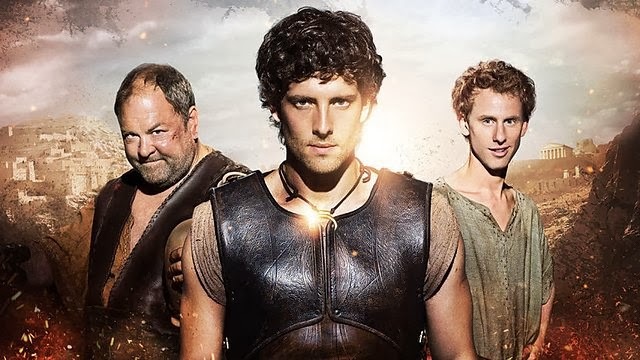 While the previous series confined itself largely to variations on a particular story, Atlantis seems set on raiding any number of different sources hence we find Jason, Hercules, Pythagoras and the Minotour all residing here in the opening episode `The Earth Bull`. Broadcast at the comparatively late 8.25pm there are scant pickings in Howard Overman’s script to whet the appetite of adult viewers, yet amidst the roaring monsters and hectic chases not quite enough to engage the attention of the younger ones. It’s going to be a hard sell. This week there's chart fun when back-to-back pictures of Renaissance , and Exile  look like they could be photos of the same group. The Jam: David Watts . 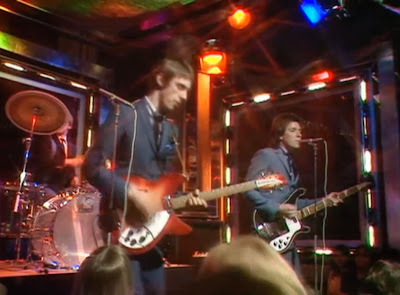 “All the energy exploding on Top of the Pops!” gushes Peter Powell after The Jam finish. The Jam put in a good performance, and the audience bop along enthusiastically, but for me this song just doesn't do anything. Somehow this feels inappropriate. It's The Jam, an iconic band of the time, but I can't muster anything other than a shrug. 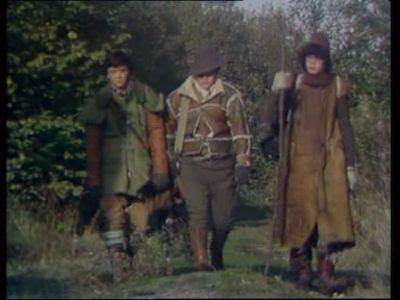 Episode 10: For an episode The Tripods forgets itself. Here we are imagining it to be a silly kid’s series and then it comes over all reflective and lyrical. There’s a lovely scene when Madame Vichot is trying to cheer up mopey Will by telling him about her past life. With a sparkle in her eyes she details travels and a zeal for discovery that she had before capping and, more importantly, how some of that has remained in her head afterwards. She becomes, in only a couple of episodes, a quite marvellous character especially portrayed by Anni Lee Taylor as if she is in a proper drama or something! In writing and acting terms she really is the first convincing three dimensional character we’ve met. Naturally she forces everyone to raise their game and even John Shackley manages his best scene so far playing opposite her. Tony Blackburn really isn't trying any more. And it's top THIRTY Tony Blackburn. THIRTY not twenty. 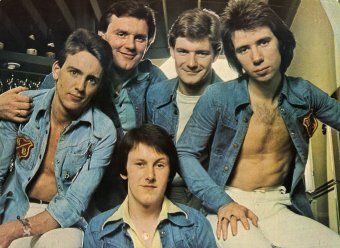 The Dooleys: A Rose Has To Die . The internet has rejected this song. I went searching for lyrics for A Rose Has To Die, but even Google can't reach anyone who cared enough to transcribe this song. “As a rose has to die/Every time you tell a lie,” is almost certainly what the blow-dried lead singer is crooning. In this melodramatic song, we have sentient roses who self destruct each time they detect untruth, and mention of a lonely world of rain, plus autumn leaves which took away the love [the couple] found. It has to be said the lead singer of The Dooleys doesn't seem too upset about the whole affair. He's written the jauntiest pop song ever about dead love. Four hours of tension ends in a frenzy as Tony Basgallop’s taut BBC1 drama concludes. Compelling to the end, What Remains is an exercise in building tension and atmosphere before letting it all out in a frantic final sequence. Though spread across four episodes, the drama has the feel of a film about it. The measured camera work, creepy sound effects, insistent unsettling incidental music as well as characters that don’t waste words all add to the filmic feel. Director Coky Giedroyc excels in finding those unusual corners of the building, her cameras crawling around as if we are in a horror film. The result is something that may perhaps lose its grasp of reality somewhere during the last half hour but remains riveting till the last frame. We have all experienced moments when you wish you could just go back in time and do or say something different and that’s the prop supporting Richard Curtis’s latest venture. 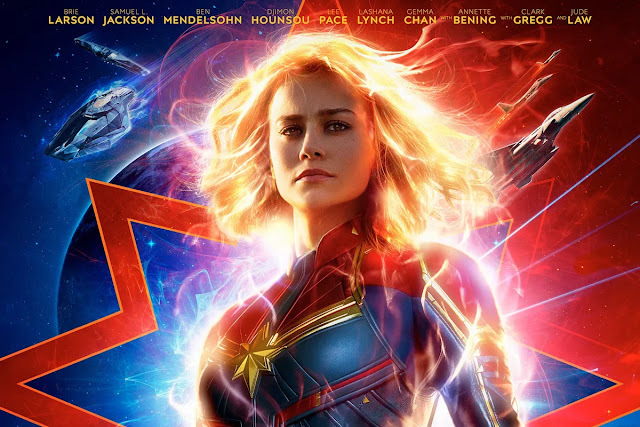 The writer says it’s the last film he’ll direct though it’s only the third he has. Perhaps the bruising experience of The Boat That Rocked has rocked him. Perhaps he wished he could travel back in time and completely re-edit a film whose best bits inexplicably ended up as dvd extras. Perhaps that’s how he came up with this idea. 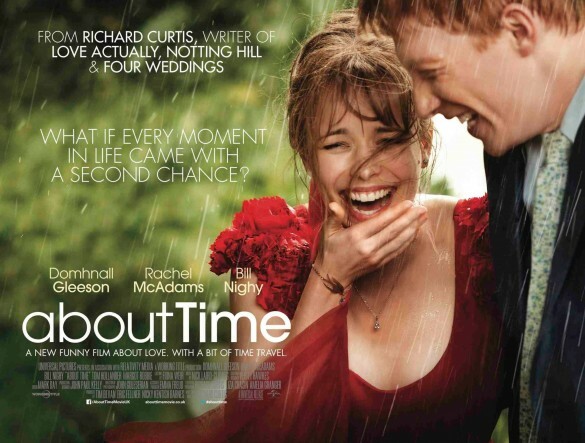 There are swathes of people who will dislike About Time but there’s nothing Richard Curtis can do about, ironically, the times we live in. Times where disparaging the rich or posh remains the last acceptable prejudice. Instead, he can use the admittedly wobbly premise to deliver a movie rich in resonance for viewers of a certain vintage, people whose joi de vivre has not been entirely sucked away and those who feel that a happy ending is surely everyone’s ambition. It’s getting on for fifteen years now, possibly longer, that people have been predicting the end of the album. 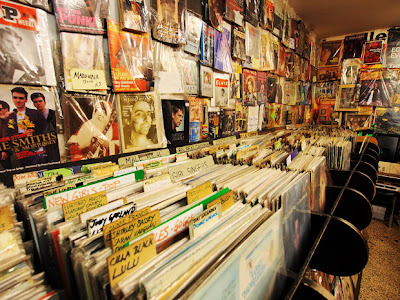 By 2013 albums (or LPs or records as we used to call them) were not supposed to exist, instead we would just download individual songs and a whole generation of musicians and consumers would not even think about releasing or buying an album. Instead something odd has happened. While more people now download music than buy a physical product, the album as a concept has endured. People can re-arrange the tracks or scatter them about but they still buy albums. Highly touted young artists and bands still talk of releasing their first album as if there were no alternative. Even those no longer signed to big record companies who release their own music still bundle tracks together and call it an album. Bilbo: She's Gonna Win . Initial thoughts on Bilbo. They've boldly gone for a very beige clothing colour scheme; the guitarist is wearing nasty shorts; one of the band plays the accordion an instrument you don't often see on Top of the Pops (not since The Wurzels were exiled to the land of smoke and ghosts); the lead singer really needs to take his hands out of his pockets. It's not the worst song to open Top of the Pops, but I'll bet it never troubled the upper reaches of the charts. Episode 8: Beanpole’s got an answer for everything. The lanky Frenchman can analyse any situation and reach a definitive conclusion. Usually though he decides it’s some kind of chemin de fer. This week it’s a canal but it may as well be a tree, a tomato or a trestle table. He and Henry have been improbably reunited with Will presumably having deciding to stay in a tiny boat until he showed up. Had Will married Eloise and lived happily ever after in the Chateau that would be a lot of years in a tiny boat. You can imagine them aged 80 still in the tiny boat. “Pass the cheese” “Pardon?” “The cheese, Frenchie” “Ah, the chemin de fer” “Aaaaaarghh”. Despite the tiny boat being a wreck they manage to conjure up a stew so after a century of Tripod rule there must still be a Tesco Direct open nearby. 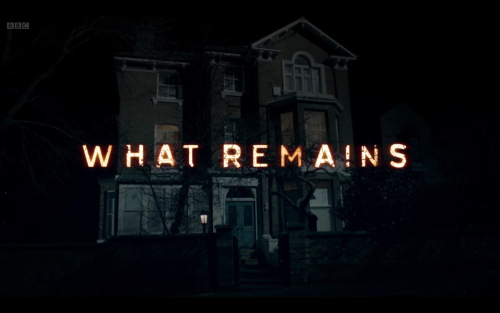 What Remains takes the concept of slow burn drama to a new level of stillness. Over the course of two hours very little has actually happened yet under the funereal veneer lots is going on. It takes a very good writer, director and cast to keep you watching and yet somehow they do. For all its glacial distance, What Remains is surprisingly compulsive as each tiny morsel is delivered making you hungry for more. It shares genes with Broadchurch of course, as you suspect every new drama this winter probably will, and also the Scandinavian television from which ITV’s hit itself drew but this is something even more considered. The best thing about it is that it could turn out to have a disappointing or obscure resolution but you just know we’ll watch it till the end anyway. Originally broadcast 17/08/78. Watched on BBC4 by Chris Arnsby. A ripple of excitement as the BBC4 continuity announcer warns, “some strong language as we head back to 1978.” Are the Brotherhood Of Man going to sing The Ball of Kerrymuir? Chart music: Brown Girl In The Ring, Boney M .
The Stranglers: Walk On By . A Burt Bacharach and Hal David song. This could be a contender for the most unlikely cover version ever. Still, it sounds fantastic. I've written before about the studied indifference with which The Stranglers treat the Top of the Pops audience, but it's always a fascinating thing to see. There's never a hint of interaction between the band and the audience. They genuinely give the impression they could be playing anywhere. From The Golden Lion in Fulham to studio TC8 at Television Centre; to The Stranglers it's all the same. 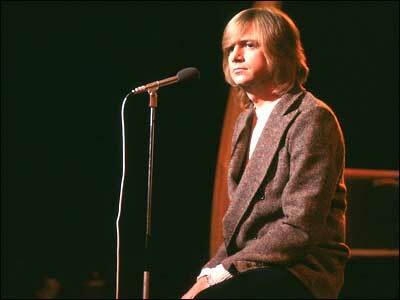 Justin Hayward refused to sing until given some rice pudding.